Having 2 old couple sitting at home do nothing but watching DVDs on the extreme hot Saturday, and not even a single mood to cook. What is the best comfort food for the night then? Many will says, who cares, just go out and grab something to eat, or pack some food outside and eat at home. Or some even suggest, why worry, buy Ramly Burger, that will solve all the problems. Well well well well… which category did you fall under? Neither the above was mentioned? Or like me get something from Cold Storage and baked on your own. 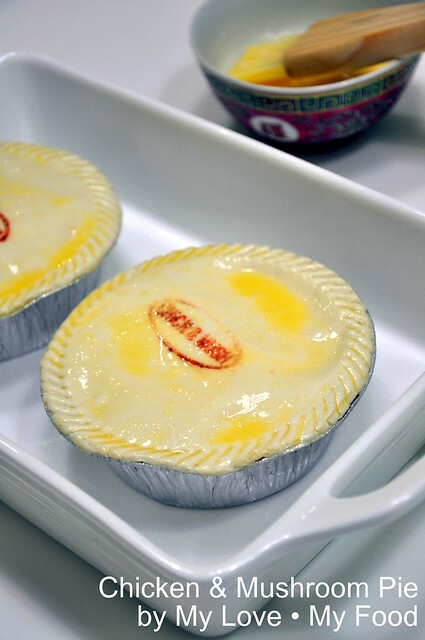 While running errands in Cold Storage, I was caught by this nice packing pie that manufactured by Victoria Crest. 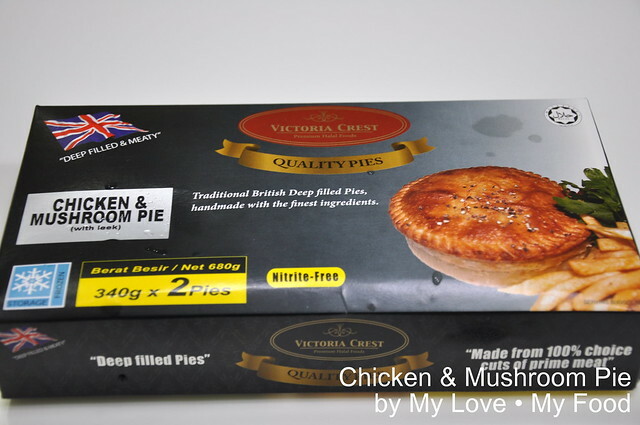 Victoria Crest is a Malaysian company that specializes in the production of high-quality Halal meat products. They are using quality spices and ingredients and consisting primarily of British-style foods, their products are all made from original recipes. 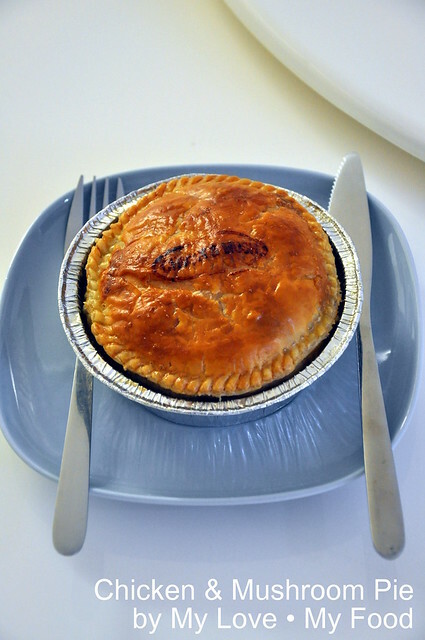 Without second thought I bought Chicken & Mushroom Pie for a try. Well, it’s definitely not cheap, more of buying an experience (sauce from Victoria Crest website). Instruction is clearly spelled out in the box… and you will not miss a single step of it. And also it’s easy to make too… I guess I will make one of this when am free! For best results cook from frozen. 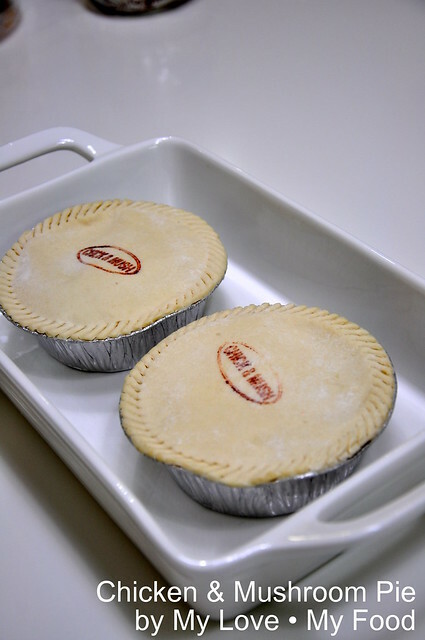 Place pies with foil base on baking tray in a preheated oven at 190ºC (Gas Mark 5) for 15 minutes then reduce temperature to 170ºC (Gas Mark 3) and bake for another 35 to 46 minutes or until golden brown. Brush before with milk or beaten egg to aid browning. Times will vary according to oven. Carefully remove from foil base and serve hot. And this is how it looks like after baking for 60 minutes. Honestly, this is the comfort food for the old couple that lying at home and does nothing. Distress isn’t it? Remember sunset bistro? It's back! 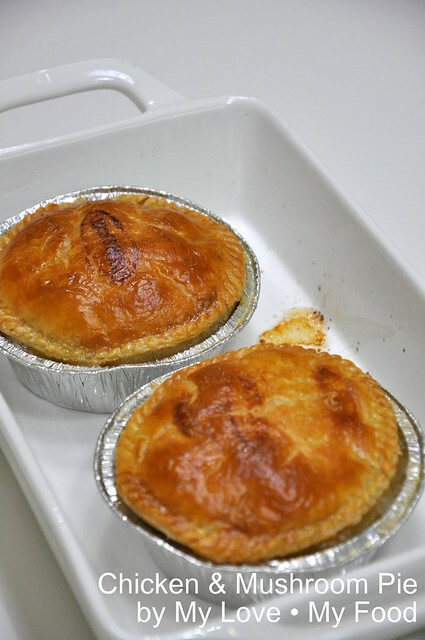 I just bake my own Chicken cornish pie:P.
Hi aherbivoreinpenang, oh, thanks for letting me know. Hi Jazz, I think simple oven top also can la! Thanks a lot for this nice blog and also for the delicious tart. 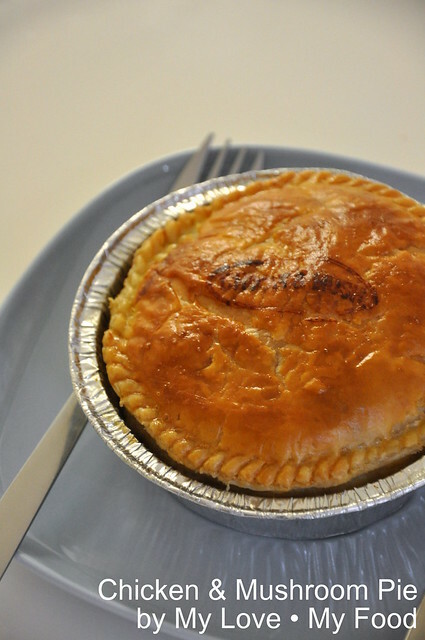 Thanks a lot for this nice blog and also for the delicious chicken pie.